Xperia Z3 Compact is, in fact, the highest rated waterproof Smartphone ever. It lets you answer your calls when you are in a totally wet condition, like when you are stranded in the rains or when you are swimming. Even more, you can take pictures when at the bottom of the pool! Its sleek, compatible design together with durability and beauty and its waterproof feature makes it a unique Android Smartphone. Its sleek design enables you to use it comfortably with one hand. Aesthetically speaking, it has durable tempered glass panels on both sides and is surrounded by a rounded frame. The Smartphone has a highly impressive ingress protection rating, IP65/68, which means that it is highly resistant to both dust and water and these do not prove a hindrance to the device’s performance. The phone is dust tight and protected against low-pressure jets of water, compliance with IP65. It can be kept less than 1.5 m of fresh water for up to 30 minutes, in compliance with IP68. Needless to say, the camera that is incorporated is unique. Sony has put in its years of research and expertise into this camera which uses the Cyber-shot and Handycam technologies by which you can record stunning videos and shots when you are underwater. Pictures are very sharp even when snapped in extremes of light shades; very dim light and bright sunlight. Pictures are fantastically sharp with the exact colors no matter what the viewing angle is; thanks to the IPS technology. The image sensor ensures a smooth, clear capturing with true-to-life details. Nothing less interesting is the audio system in Xperia Z3 Compact. The key feature here is the DSEE HX technology and PS4 Remote Play, exclusive to the Xperia Smartphone. You can upgrade a sound of low resolution to near high-resolution sound quality, blocks out distortions and noise and can reproduce the original sound. The Xperia Z3 Compact delivers an innovative two-day battery life. It has a built-in battery power saver feature, Stamina Mode, which increases battery life by disabling most apps when the phone’s screen goes off. This device houses the most powerful quad-core Qualcomm Snapdragon 801 processor. The Krait 400 CPU has an impressive max clock speed of 2.5 GHz which facilitates lightning fast web browsing, super fluid UI and impressive multi-tasking. This device has the 3rd generation LTE/4G modem which enables Internet connections with fiery download and upload speeds, a smoother data transfer and media streaming. The new Snapdragon 801 processor has a significantly improved performance over its predecessor, Snapdragon 800. The Z3 Compact is the best small-screen Android phone, but as the name suggests it’s not just a shrunken down Xperia Z3. Design wise they are very similar to the past Xperia handsets. 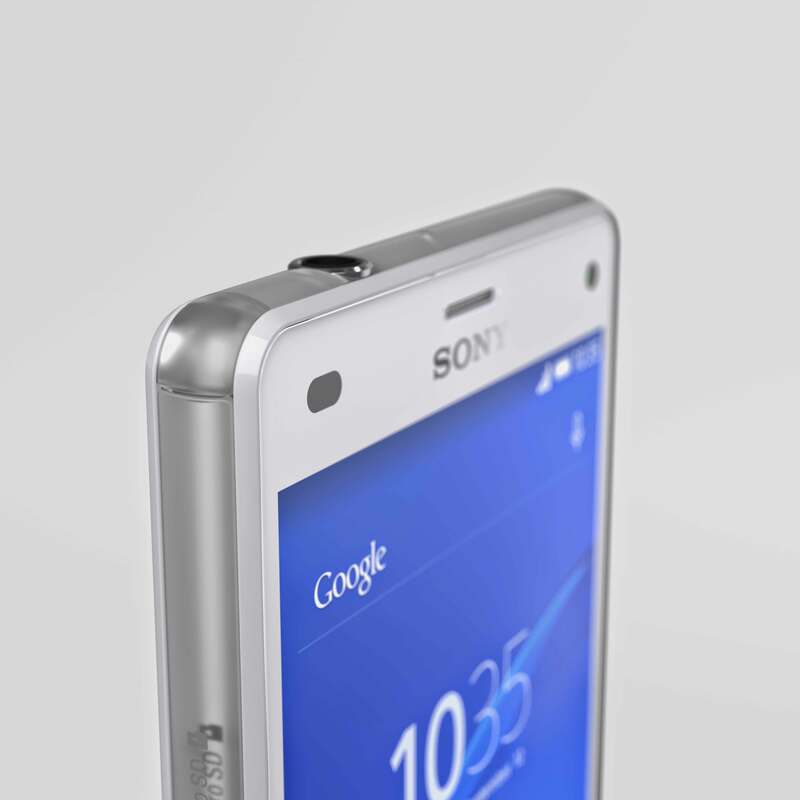 The Sony Xperia Z3 has a glass back with a metal frame, while the Xperia Z3 Compact has a glass back with a translucent plastic frame. Both phones come in black or white. Other than this, Xperia Z3 has copper and silver green options, while the Xperia Z3 Compact is available in orange and green colors. 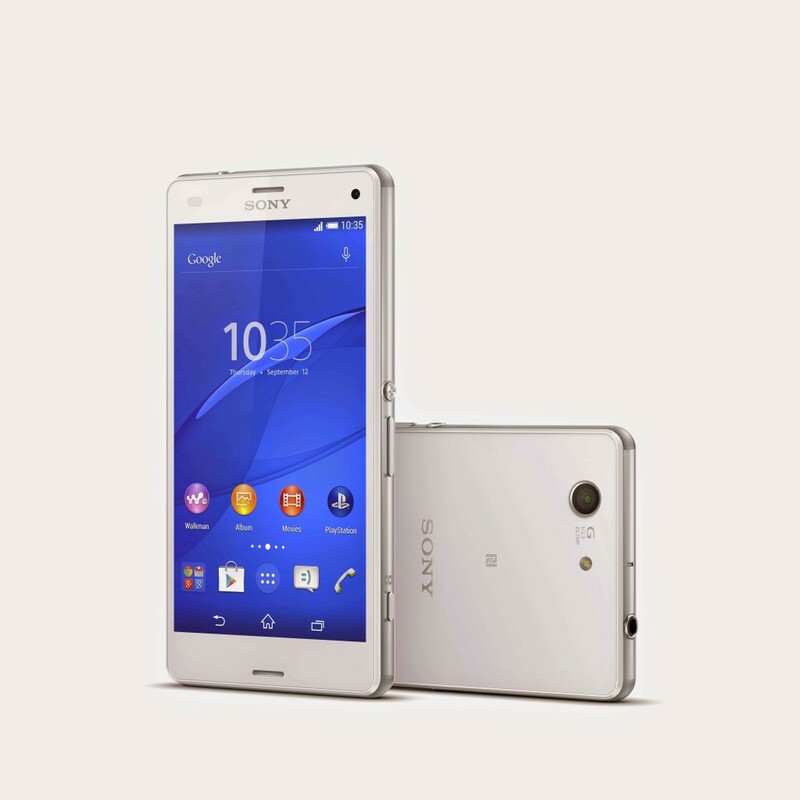 The 7.3mm Xperia Z3 is thinner than the Xperia Z3 Compact of 8.6mm. The biggest difference between the two handsets which places them at different levels in the market is its display. 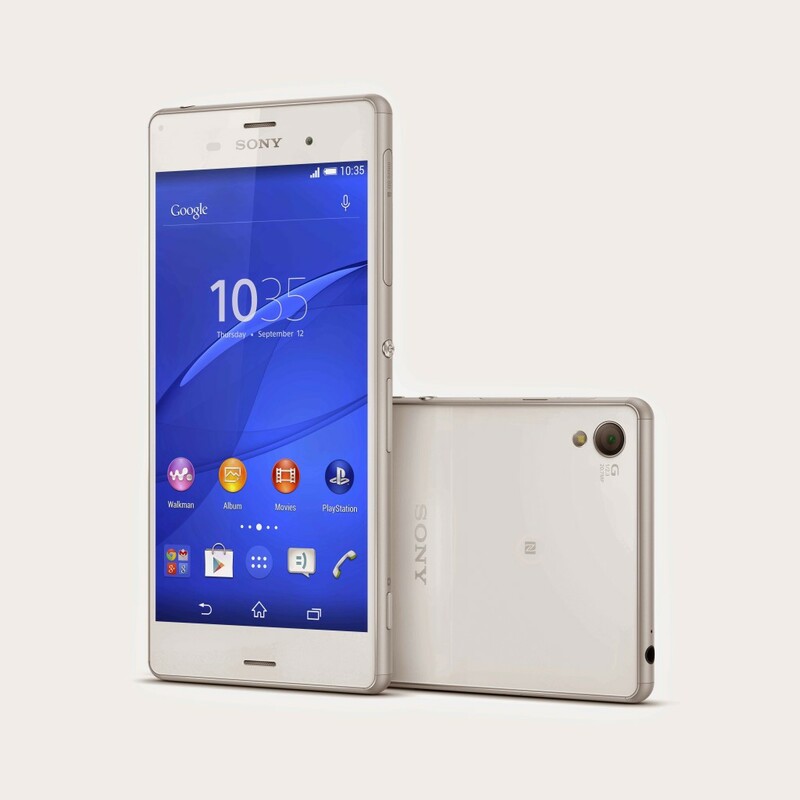 While the Sony Xperia Z3 has a larger 5.2-inch display, the Xperia Z3 Compact sports a smaller, 4.6 inch display, which makes it more pocket friendly. The Xperia Z3 has a 1080 x 1920 display while the Z3 Compact has a 720 x 1280 display and as a result less sharp than Xperia Z3. Both the handsets have a 2.5GHz quad-core Snapdragon 801 processor and Adreno 330 GPU’s. Xperia Z3 has a RAM of 3 GB whereas the Xperia Z3 Compact has a 2GB RAM. Both have 16GB built-in storage, expandable up to 128GB via microSD card slots. Both phones have 20.7 MP Exmor RS sensor with a 25mm G Lens, 2.2 MP front-facing camera with ISO 12800 setting. In terms of battery, the Sony Xperia Z3 Compact has a smaller 2600mAh battery as compared to Xperia Z3’s larger 3100mAh. Despite the size and battery differences, performance wise they are similar. There are some minor differences like the Z3 delivers up to 19 hours of talk time, 10 hours of video or 740 hours of standby, while the Z3 Compact delivers up to 14 hours of talk time, 10 hours of video or 920 hours of standby. Prices are not yet known, but taking into consideration the small differences in both the handsets, it is probable that the Z3 Compact will be priced cheaper than the Xperia Z3. It is likely to retail for around £450 / $700 / AU$800, while the Z3 will probably cost around £550 / $850 / AU$950 SIM free.